Burn hundreds of calories and build lean muscle with our adult Muay Thai classes at Discovery Martial Arts. Our skilled instructors will guide you through these high energy classes and motivate both men and women of all backgrounds and experience levels to get fit fast! 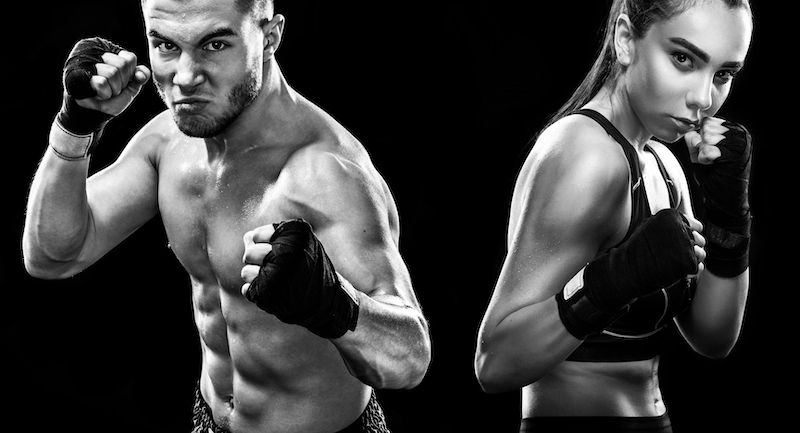 Muay Thai classes will provide you with a set of practical and effective self-defense techniques in addition to functional fitness training that will protect you from real-world threats while improving your cardiovascular fitness and improving your total body strength. Among the first things we teach in our Muay Thai classes at Discovery Martial Arts is the importance of proper technique. It's difficult to truly get the most out of your body with movements that are not fully efficient. Our Muay Thai classes are held in a collaborative environment that promotes friendly competition and will keep you motivated to give it your all during each session. Our instructors offer constant feedback to members of the class and provide constant support to students in a judgment-free zone. Don't Hesitate - Sign Up For Discovery Muay Thai Classes Today! With our Muay Thai classes at Discovery Martial Arts, you'll look forward to working out again. Join us now for the best high-energy, low-impact training in Stockton. Simply fill out the form on your screen for more information or to get started today!